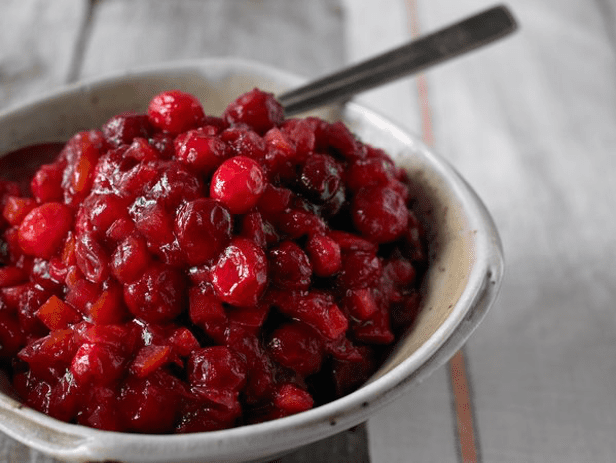 In medium saucepan, over high heat, combine cranberries, vinegar and sugar; bring to a boil. Reduce heat to medium-low and add nutmeg, cinnamon, cayenne, and cumin. Simmer 20 to 25 minutes or until mixture is very thick, stirring frequently.